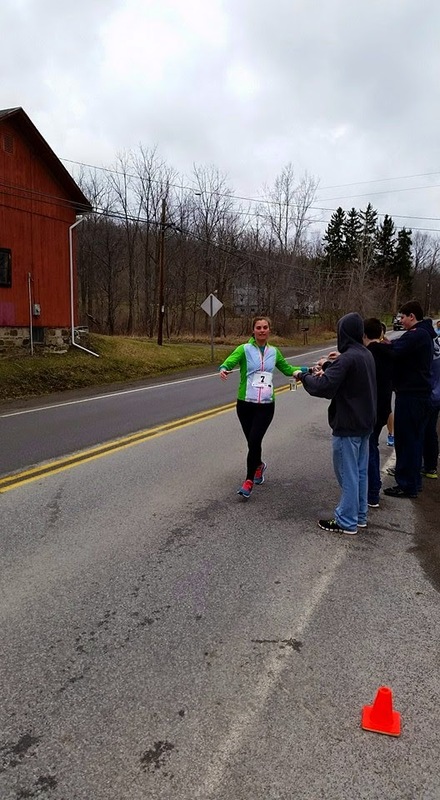 This past Saturday I participated in the inaugural Rally Round the Valley 18 mile race. I used it as a training run for my 50K rather than as an actual race, sometimes it is nice to have a supported training run! 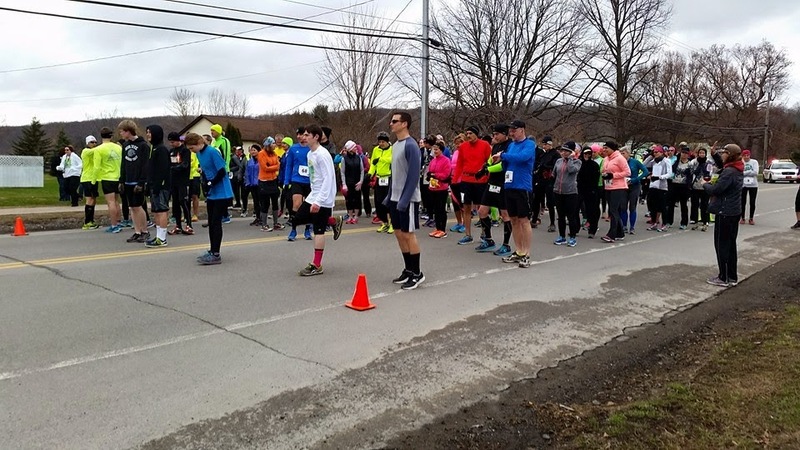 The race location was in Honeoye, New York about an hour from our house. Mike wasn't racing so he was able to drive the course and cheer me on, which I really appreciated! 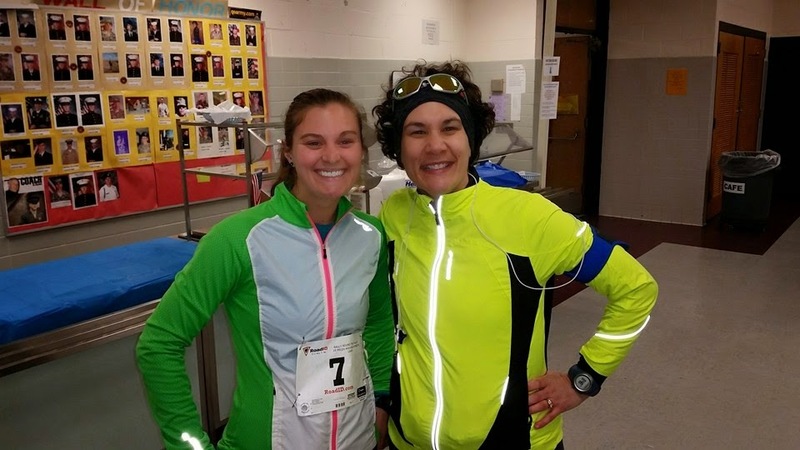 Our friend, Heather, was also running this race and we found her right before the start. Ready to tackle 18 miles! 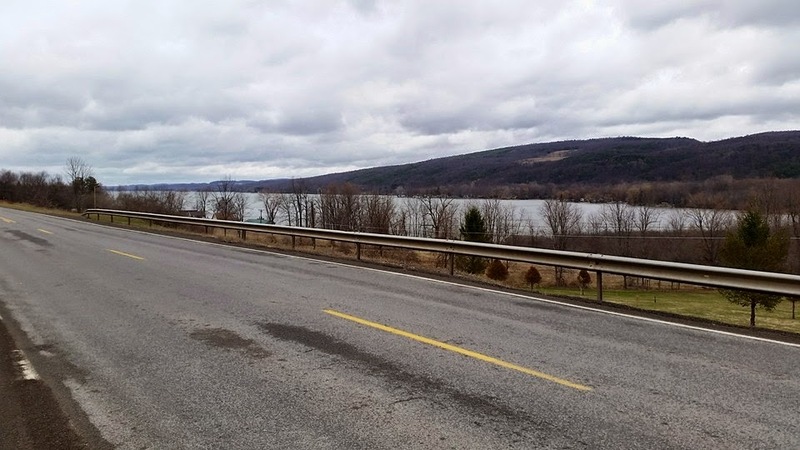 The Finger Lakes area is gorgeous! 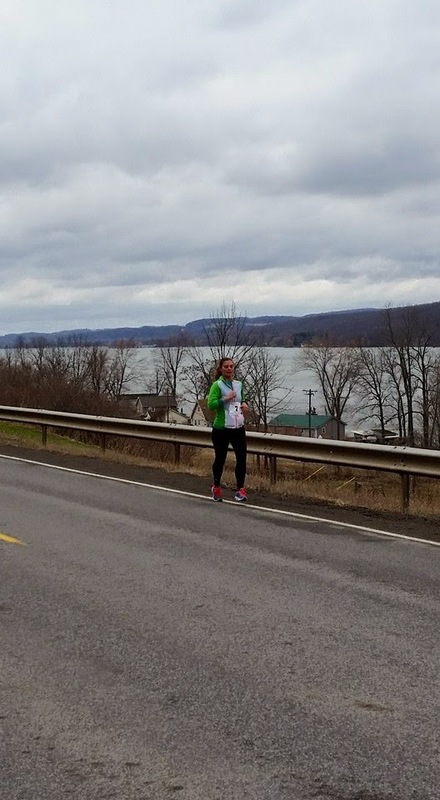 When I found out about this race I really liked the idea of running around Honeoye Lake. Mike and I have ridden around this lake, but we have never run around it. 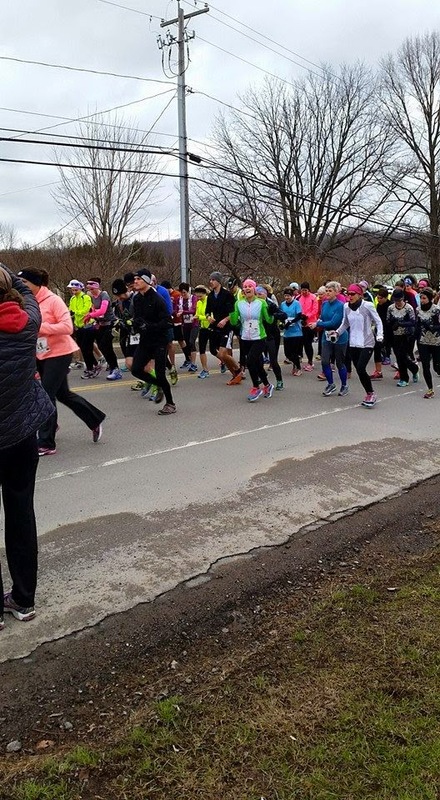 You could either register for the solo 18 miler, a 2-person or 3-person relay or a 9 mile walk. The race got started right at 9am and I tried to settle into a comfortable pace. I thought that 9:30 pace would be good, but of course I started out around 9:00-9:10 average for the first 9 miles. 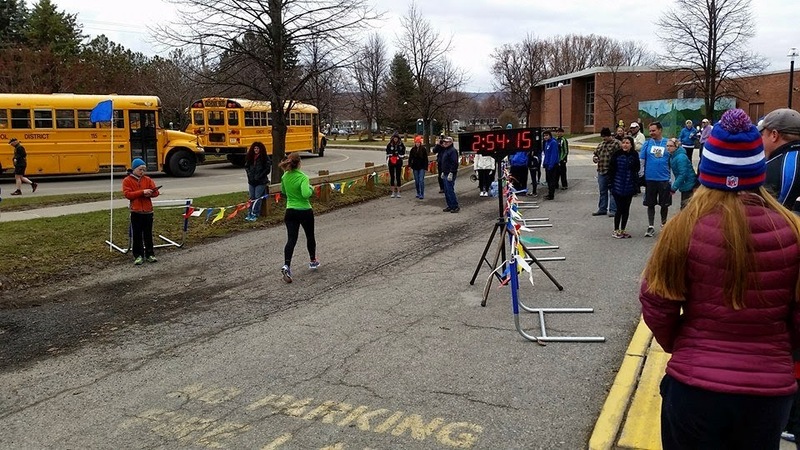 The race started at the Honeoye Central School and from there we turned down West Lake Road. This side of the lake the terrain had longer, but gradual hills and downhills. I was able to keep up a good pace and Mike stopped to cheer me on two or three times on this side. The temperature was in the upper 30s, which was pleasant on this side of the lake. As I made my way down a longer hill, I could see the halfway point in the distance (and a downhill skiing area that still had snow on it). I was starting to feel a little bit tired, but I still felt good at this point. After going through the water stop (which was also the 2-person relay exchange point), I turned left onto East Lake Road. Immediately, the conditions changed. It was pretty windy on Saturday, but it wasn't that noticeable during the first half of the race. As soon as I made the turn to start the second half of the race the wind was in my face, and it didn't let up until the finish line. I started to slow down due to this, but I kept on going. I hadn't seen Mike in awhile, but I was hoping that I would soon. The east side of the lake the terrain is constant rolling hills, which isn't too bad on a bike but it was starting to take its toll on my legs. I just kept telling myself to keep going and not to walk. I was just using this as a training run so my finishing time didn't really matter that much to me. You can tell I'm getting tired and I put my gloves back on since it was so cold! After a water stop, I saw Mike in the distance. When I went by him, he told me that I was doing great and I said that I was starting to get tired. Then I had to run up the worst hill of the race, which Mike asked me about when he drove by me. I still hadn't walked and the downhill after brought a little bit of relief to my legs. At the final exchange point for the 3-person teams, I saw a co-worker getting ready to run her leg. I said hi to her and told her that this kind of sucked, ha. She told me I looked great and I kept going on my way. At this point, I could kind of tell who the two-person and three-person relay runners were. It was hard not to be envious of their fresh legs! I saw Mike one more time and as he drove away, this woman running next to me started to talk to me. I asked her if she was a relay runner and she told me no that she was doing the entire thing. I said that I was too and that I was a bit envious of the relay runners at this point. We chatted for a little while before we both settled in for the final two miles. Eventually, I could see the road crossing that we would need to make before turning back into the school for the finish. There was a final uphill and then I started to make my way toward the turn into the bus circle for the school. Mike was cheering me on as I crossed the finish line. Yay, I can stop running now! I finished in 2:54:20, not too bad considering the conditions! After hanging around for a bit, Mike and I made the drive back to Rochester. Overall, I really enjoyed this race and I would be interested in doing it again - either solo or as a relay! Way to get it done! 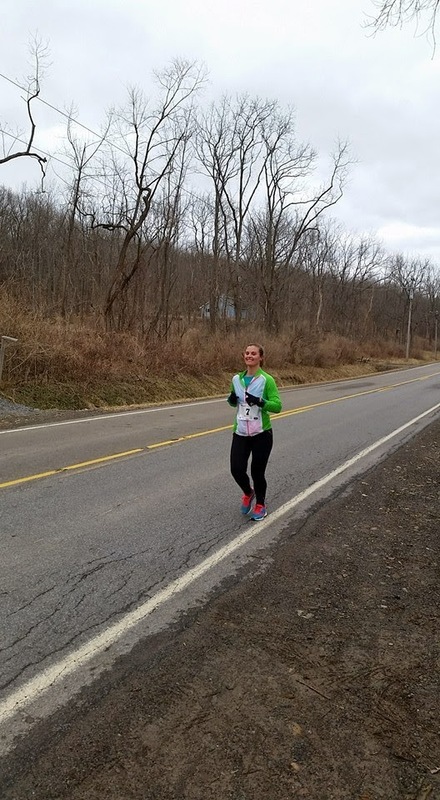 Eighteen miles is such a unique distance for a race, and it's awesome they have solo and relay options. Great job! The winds have been fierce in Chicago as well, and I remember how devastating it can be to see your pace transform. Great job persevering - you didn't give up! 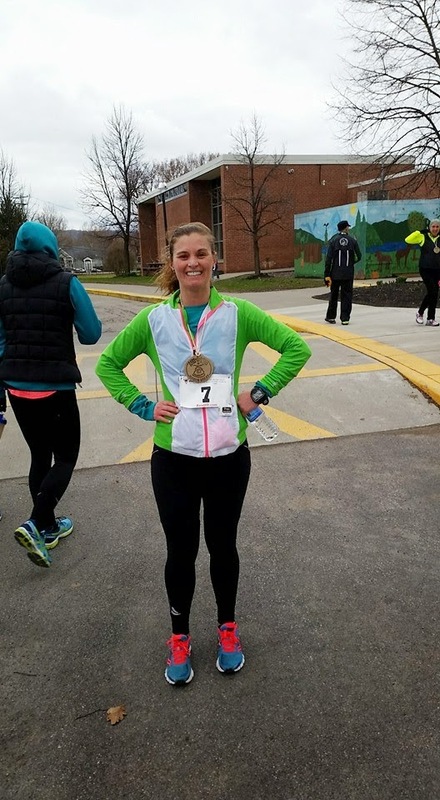 great job, and look at that bib number... You are an elite!! !